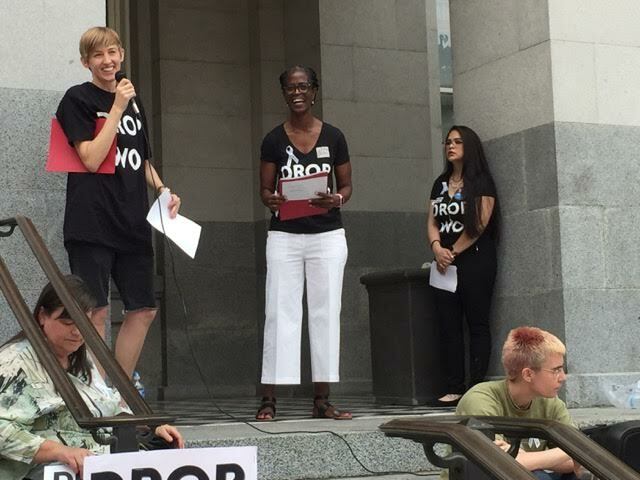 DROP LWOP RALLY/LOBBY DAY GREAT SUCCESS! 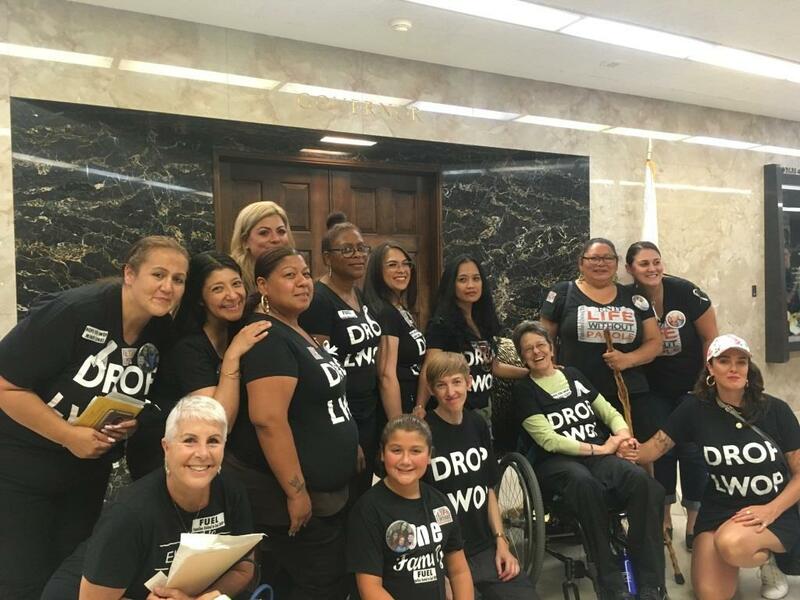 On Monday August 6th, a hundred people from all over California came together to lobby for the passage of SB 1393 and rally to DROP LWOP sentencing in a day coordinated by CCWP and CURB. Below is a quick, heartfelt summary of the day by Pam Fadem from CCWP with some photos. Governor Brown to commute all 5,000 people with LWOP sentences in California prisons. 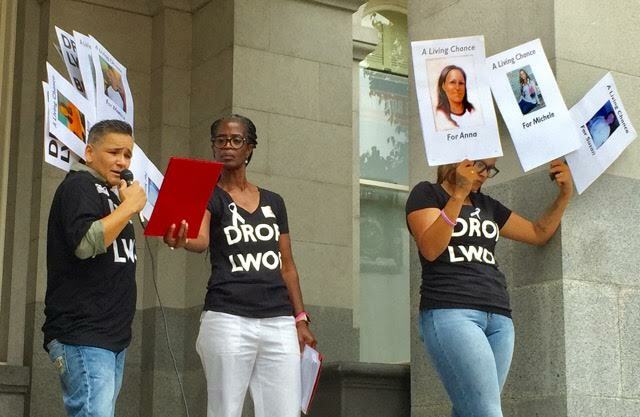 It was WONDERFUL– TONS of formerly incarcerated people, lots of amazing family members, many visits to legislators, and a VERY beautiful and spirited rally — with incredible statements from people inside and former prisoners, and beautifully and powerfully displayed with people wearing DROP LWOP t-shirts (thank you Angel and Christina), ribbons (thank you June!! ), amazing posters of our loved ones serving LWOP (thank you Anna H and Grace!! ), lots of homemade signs and banners—There was never a lull or a low point. This is clearly a growing campaign/ movement— It was beautiful, powerful and filled with emotion! The box delivered to the Governor had three 8 ft paper banners made by people at Central California Women’s Facility — full of their handprints, signatures and family photos, over 30 statements from people serving LWOP, the official letter to the Governor calling on him to commute all currently serving LWOP signed by over 100 community organizations. It was a stunning sight. Let’s keep the pressure up, the work growing and continue to welcome our loved ones home.